It was described as 2018’s great rock ’n’ roll swindle. 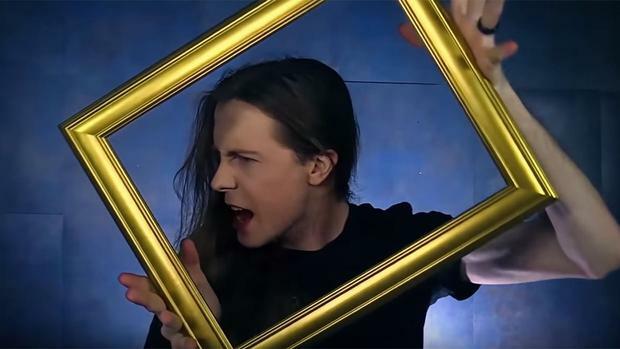 Threatin, a metal band from Los Angeles, had booked a UK and Ireland tour on the strength of its sizeable online fanbase. But only three paying punters turned up at the 500-capacity Underworld venue in London and, despite claiming that 180 tickets had been purchased in advance for their Bristol show, the audience was made up exclusively of the support band’s guestlist. A date for Belfast was quickly cancelled. The whole thing appeared to be a stunt masterminded by a fledgling musician called Jared Threatin. He had recruited a bassist and drummer to go on the road with him, and perhaps he hoped that there would be enough curious punters who would go to the gigs based on some glowing online write-ups. It wasn’t to be. Among the most nefarious practices was what came to be known as Payola. This was the scam cooked up by unscrupulous record-company executives to have certain songs played on heavy rotation on radio. They weren’t played because the DJ or station loved the track, but because they were paid — bribed, essentially — to do so. Payola has existed since the advent of pop music, but it came to light in the early 1960s in the US when it emerged that some of the leading disc jockeys of the day were being bribed to play certain songs. One of them, Alan Freed, had been the pre-eminent rock maven of his day — it was he who coined the term ‘rock ’n’ roll’ in the early 1950s. The conviction destroyed his career — and his life: he died from alcohol-related issues in 1965 at just 43 years of age. Despite this, the practice continued under the radar until Fredric Dannen’s book Hit Men outlined how rife it was in the 1970s and 1980s. First published in 1990, it remains one of the most revealing accounts of the music business ever written. Despite attempts by the US government to clamp down on it, record companies — and radio stations benefiting from the payments — got around the issue by paying ‘independent promoters’ who would do the dirty work for them. Even as recently as 2006, three of the major labels were indicted and settled out of court for pay-for-play practices. But such industry shenanigans are in the ha’penny place when it comes to the notion that certain big-name artists are not all that they seem to their legion of adoring fans. Faking in music doesn’t come much bigger than the Milli Vanilli scandal at the end of the 1980s. Dreadlocked hunks Fab Morvan and Rob Pilatus delivered a brand of catchy, if inoffensive, pop that was derided by the critics but lapped up by the general public. They even won a Grammy. spectacularly when the tape they were miming to malfunctioned, with the line “girl, you know it’s...” repeating over and over. The horrified pair attempted to brazen it out before rushing off stage. Lip-synching was quite common at the time — all Top of the Pops performances of the era were mimed — but it quickly emerged that Milli Vanilli never sang a note in studio. All ‘their’ vocals had been recorded by unnamed session players, including Charles Shaw, who had reportedly been offered $150,000 to retract a statement that he had, indeed, sung their vocals. Milli Vanilli was created by the German producer and star-maker Frank Farian. He had had huge success with another manufactured band, Boney M, in the late 1970s, but that disco-defining group also featured a male performer hand-picked by Farian who did not sing on the records. Despite being a fully fledged member of the trio, Bobby Farrell didn’t contribute vocals to any of the recordings; vocals attributed to him were those of Farian’s instead. Outrage was avoided because it only emerged that Farrell hadn’t sung on the records years after Boney M had gone their separate ways. And it’s not just pop that has produced stars of dubious talents. The classical music world has also delivered its share of fakes, too. Take Mamoru Samuragochi. The Japanese pianist was dubbed the “Digital Age Beethoven” thanks to his remarkable mastery of the instrument, his long list of lauded compositions and the fact that, like the German great, he too was deaf. But in 2014, it was revealed that virtually everything that Samuragochi had composed over the previous 18 years had been ‘ghostwritten’ by the much less celebrated Takashi Niigaki. Worse, it soon emerged that Samuragochi wasn’t deaf, although he did meekly protest that he had hearing issues. The English piano teacher, who died in 2006, enjoyed fame towards the end of her life for a series of recordings she had made many decades previously. Her performances were critically acclaimed and many wondered why her rare talent hadn’t been acknowledged at the time. The Guardian obituary described her as “one of the best pianists Britain has ever produced” and noted that she had been out of public eye for many years due to her battle with cancer. But a year after her death her husband, the music producer and impresario William Barrington-Coupe, confessed that a large number of piano CDs that he had sold on his Concert Artist/Fidelio Recordings label were not in fact performed by his wife but were copies — in some cases digitally manipulated — of commercially available recordings by other pianists. A number of them had originally been released on the Swedish BIS label and it was its head, Robert von Bahr, who broke the story. Von Bahr decided not to sue, however, on the basis that the hoax recordings were “a desperate attempt to build a shrine to a dying wife”. It also later emerged that while Hatto died of cancer, she had been diagnosed with the disease years after it had been claimed.